Five years ago na pala nang una akong makapunta dito sa British Columbia. I was newly married then and I vacationed in Edmonton for six months to be with my husband. I have an aunt in Surrey, BC so nag-long drive din papunta dun/dito. Who would have thought that we will end up living here? Sometimes you don't really know where life would take you. Having already established a life in Edmonton, I really thought I'd spend the rest of my adult years there. Up until now, I am still having mixed feelings on living here. I miss my friends in Edmonton and I miss having a house. The housing market here in Metro Vancouver is so crazy and buying a house now is very risky. I don't think I can fully settle here without my own place. 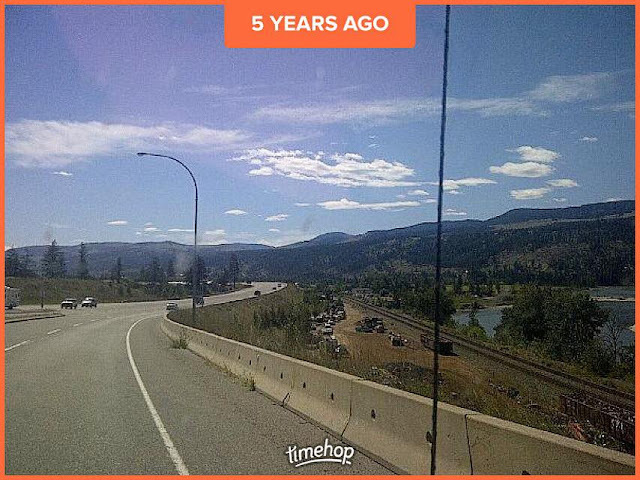 And to add up, the aunt, who I visited in 2012 and was very close to me, the original reason why I wanted to move here in BC, suddenly became a stranger. Things have happened in our family that lead to our drifting apart. Wala talagang permanente sa mundo. You really can't hold onto something forever.